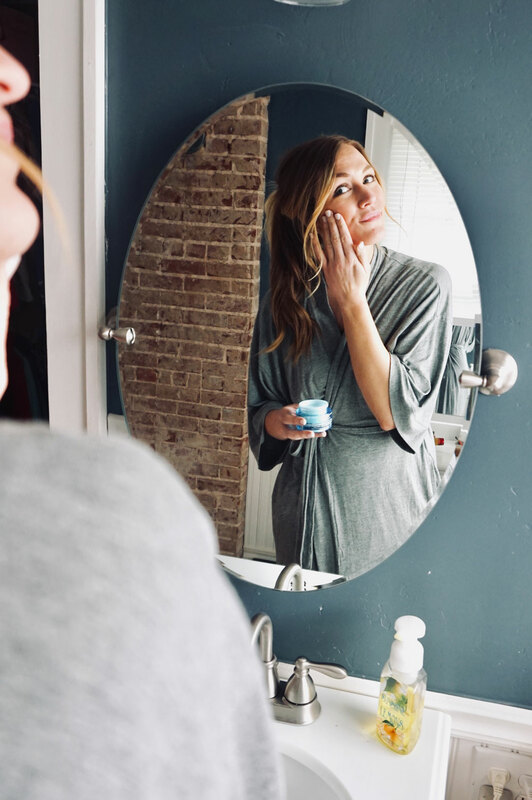 I partnered with Neutrogena to bring you today's blog post. The most important relationship in life is our relationship with ourselves. Self-love is SO important - if you're not happy with yourself, it affects any and every area of life, whether you want it to our not. Been there, done that, never want to feel that way again! The reflection you see in the mirror can change your entire day. For me, when my skin looks good, my day always starts in the right direction. Your body's largest organ is the skin and the body is made up of over 50% water. It makes sense that you (and your skin!) need to stay hydrated in order to thrive. 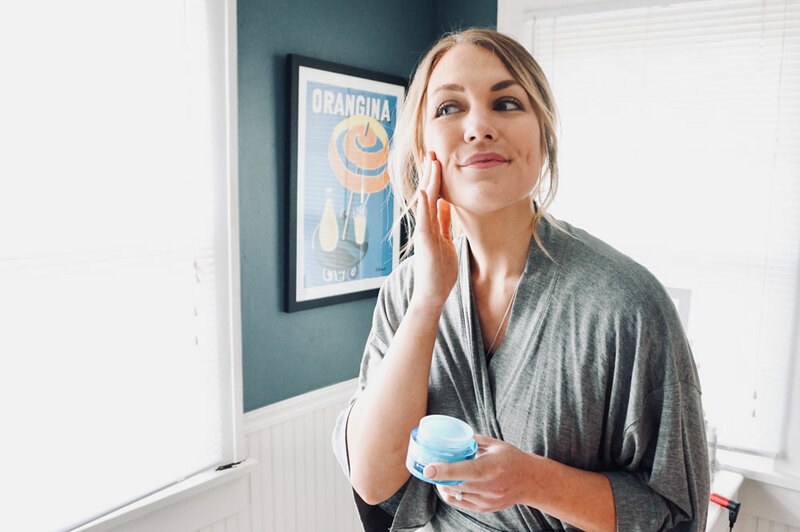 Taking care of your skin and keeping it moisturized will not only help you look and feel better now, but will keep you from aging too quickly. Bring on the moisture, am I right, ladies? Insert: Neutrogena Hydro Boost. 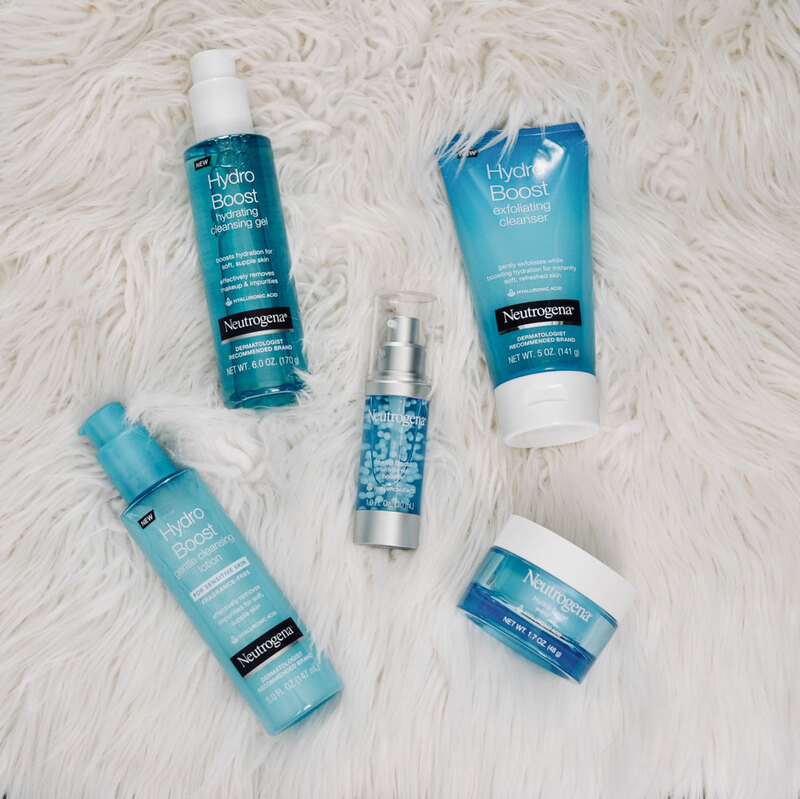 This line of products is designed to intensely hydrate your skin. Winter wind dries me out so bad, as does flying. My skin was reeeally dry after a trip to Denver with intense wind and snow, but luckily the Hydro Boost products helped me recover quickly. What I love most about them, though, is that they don't OVER-moisturize. 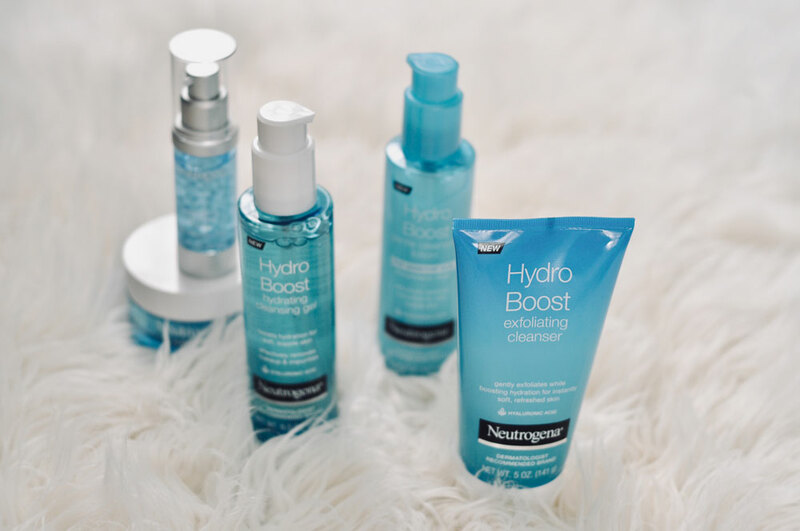 Neutrogena sent me five products from the Hydro Boost line to sample and review: the Multivitamin Booster, Gentle Cleansing Lotion, Water Gel, Exfoliating Cleanser (which I want to point out is gentle enough to exfoliate with every day) and Hydrating Cleansing Gel. All of them smelled amazing, I'd call the scent, "Summer Air," if I was naming it! Although all five products were great, my favorites were the Multivitamin Booster and the Water Gel. 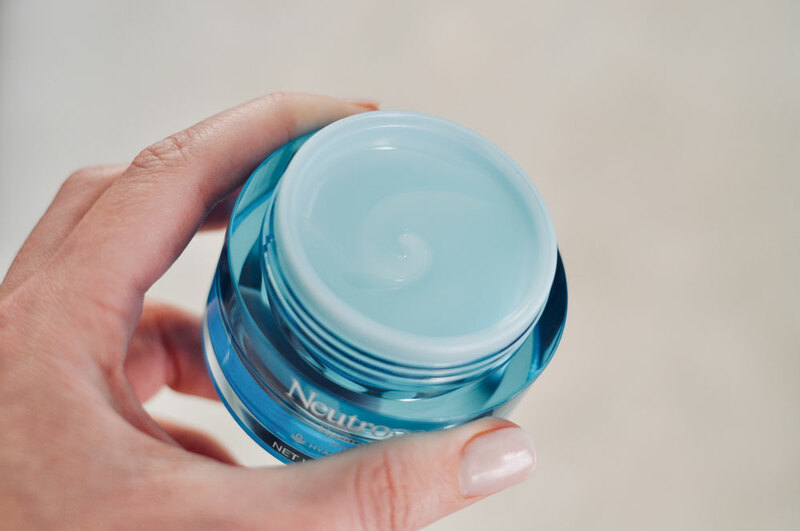 The Multivitamin Booster helps to hydrate and boost dull, tired skin. 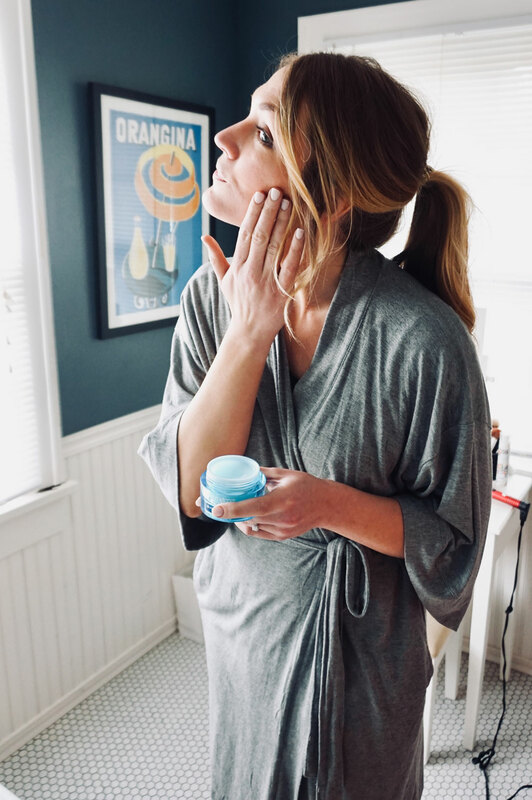 According the Neutrogena, "it contains vitamin E and purified hyaluronic acid, a compound that occurs naturally in skin and acts as a sponge for dry skin by absorbing up to 1,000 times it weight in water." It truly leaves your skin feeling plump! The Water Gel is really where it's at. It soaks in almost immediately and doesn't leave behind any greasy residue. 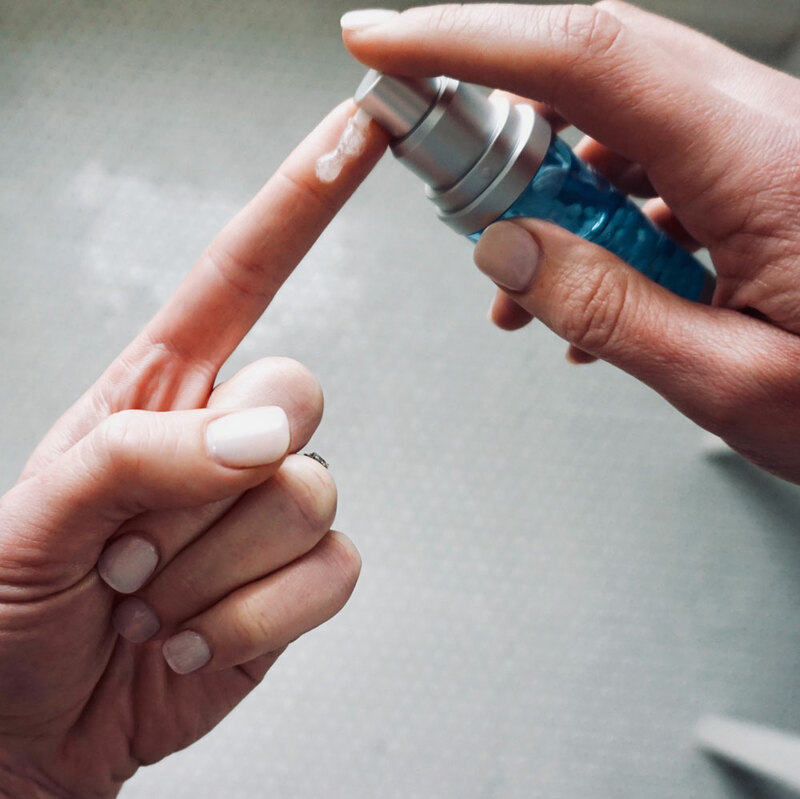 I hate moisturizers that take forever to soak in.... in the morning, it can delay my makeup/getting ready process and at night it can delay my dermatologist-prescribed ointment application. But not the Water Gel - it is the perfect solution! A little goes a long way, so at only $20 a jar, is really budget-friendly, too. A lot of moisturizers don't work well for me because I have combination skin - if they are strong enough to moisturize the dry patches, they leave the rest of my face too oily - but the Water Gel seriously worked wonders and left my skin feeling soft and evenly moisturized all around. Thanks to Neutrogena, my skincare relationship status is solid. 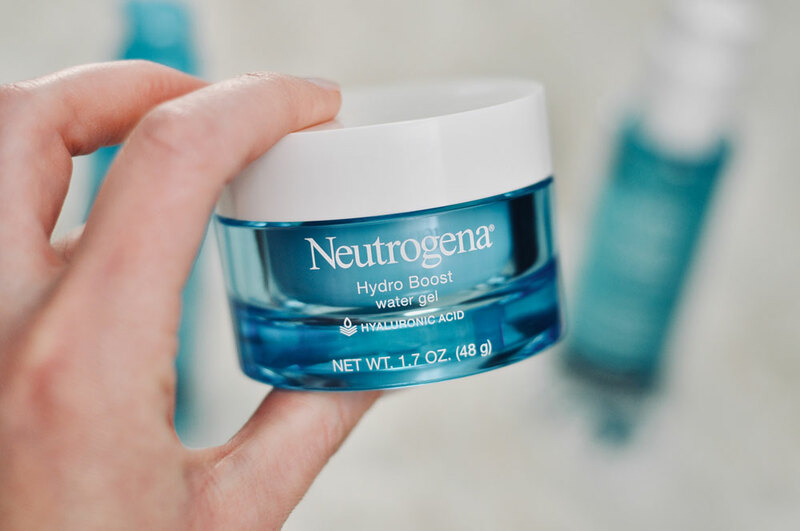 If you're re-evaluating your relationship or looking for ways to boost your skin's hydration, consider the Hydro Boost line available at most drug stores or at Neutrogena.com. 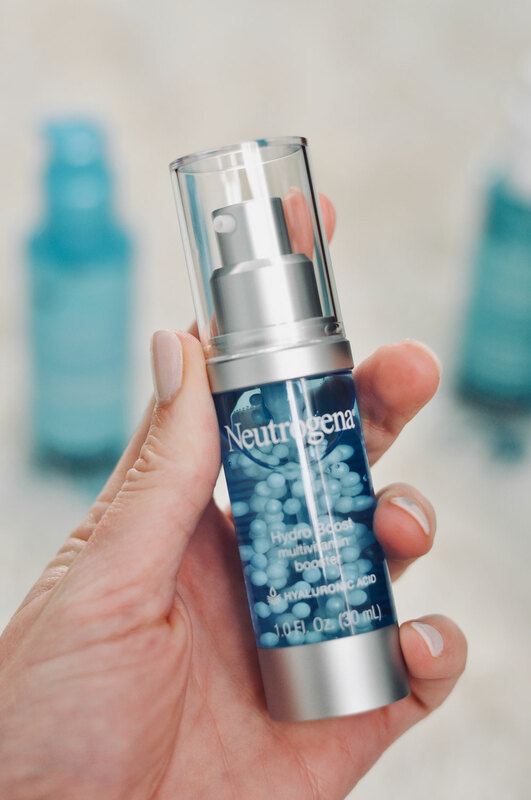 Thank you to Neutrogena for sponsoring today's post! Although all products were supplied to me for free, all thoughts and opinions are my own.